DT series tank manufacturing machines are automatic extrusion welding machines for the highest requirements to be placed on weld precision. Thanks to the modular construction, the machine can be specifically customer-adapted. 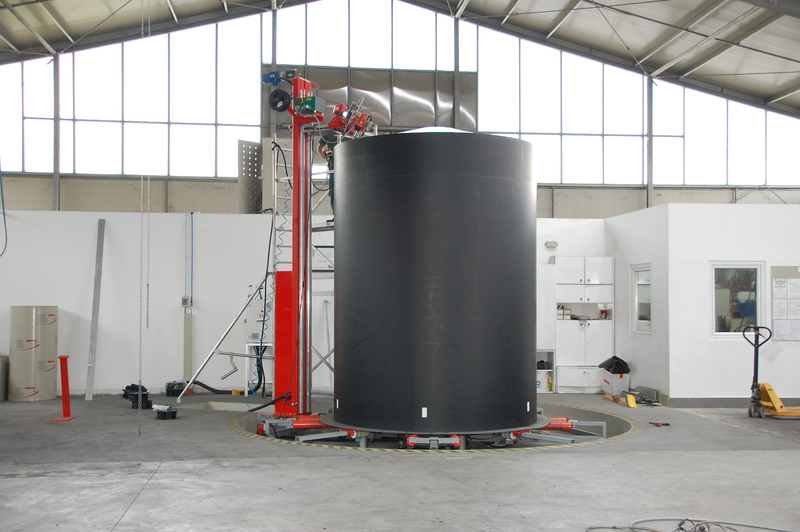 Tanks up to 5 m in diameter and up to 6 m in height can be processed on these machines. Inner and outer seams ensure welding of the ends with the cylinder wall as a standard feature. An integrated electronics system controls the machine. The operating elements are on the operating panel. The most important functions can also be activated with an optionally available remote control. A push button sets the rotating speed.